The week of June 19-25 will see the Yerri Valley filled with art. 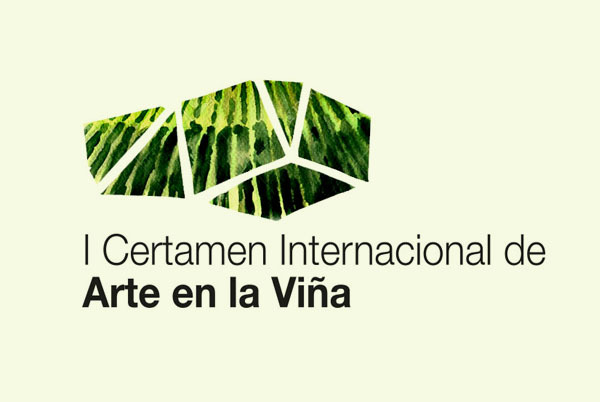 The First International Vineyard Art Competition will be held at our winery, Aroa Bodegas, in Zurukuain (Navarra). This event is part of the art and rurality Program being launched by the Government of Navarra, Landarte. 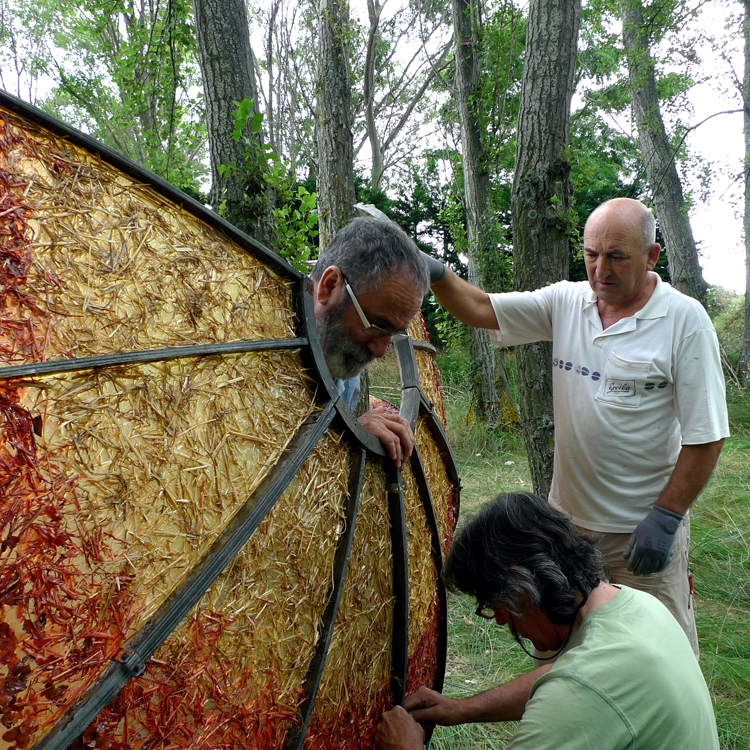 Seven national and international artists will work in situ on their artistic creations in the surroundings of the winery to enhance the natural heritage of the vineyard and invigorate the area through an outdoor cultural experience. 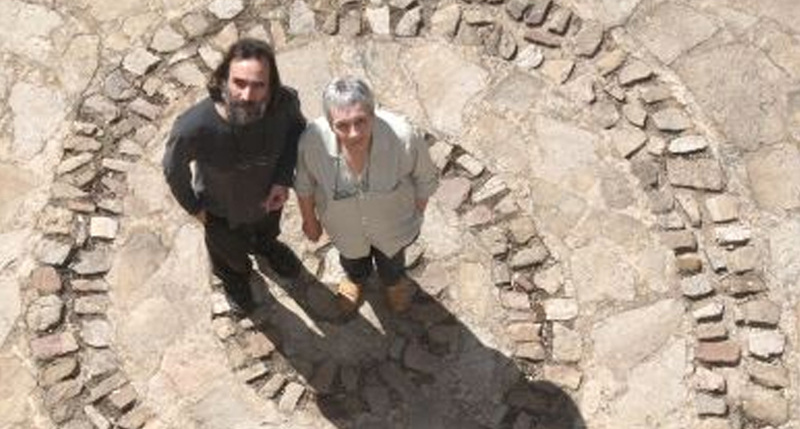 The philosophy of land art is closely linked to that of Aroa Bodegas and Vintae in general: the dialogue between mankind and nature through a creative process in which respect is one of the main tools. Our objective is the creation of an open-air museum with the participation of the residents of Grozin and Zurukoain, a museum that can be visited by walking through the vineyards along the path joining these two locations. We hope to attract a new visitor profile who can also enjoy the excellent tourist resources of the valley. The English sculptor Lesley Yendell is the most international figure among the cast of participating artists, which also features artists from Navarra, Sandra Nuin and Roberto Pajares ‘The Bird’ and land art creators of the likes of Pamen Pereira, Lucía Loren, Oscar Cenzano and Demetrio Navaridas, who is also the artistic consultant of this first competition. English sculptor residing in Catalonia. Her work draws both from the landscape of the Penedés and everyday household objects. It focuses on the transformation of these objects and introduces new criteria to value not only their aesthetic effect, but also their communicative power. Artist from Navarra. 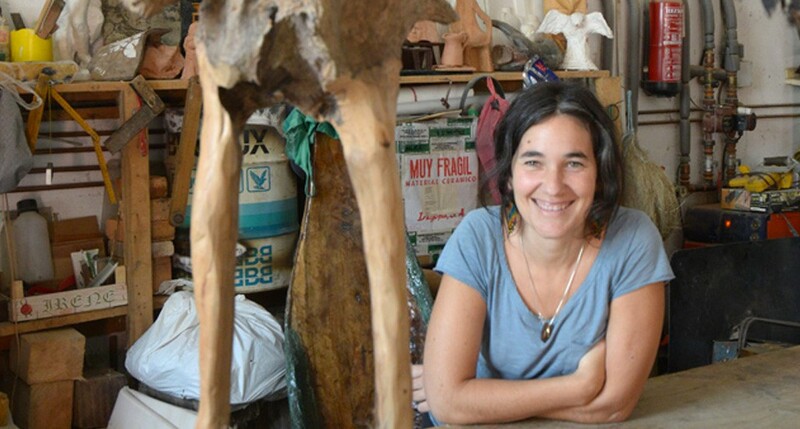 She combines different materials she has worked with (wood, bronze, ceramics) and by intermingling them obtains natural, suggestive and very expressive forms, providing them with movements from the clay used to model them or those acquired by branches, bringing the inert to life. Roberto Pajares ‘The Bird’, born in Tafalla has been the sculptor and sanctuary custodian for the last twenty years in Lomos de Orios (La Rioja). Artist and hermit. Who better than him to understand art for art’s sake. Sculpting the wind for the love of art all this time. Born in Ferrol (A Coruña) in 1963. 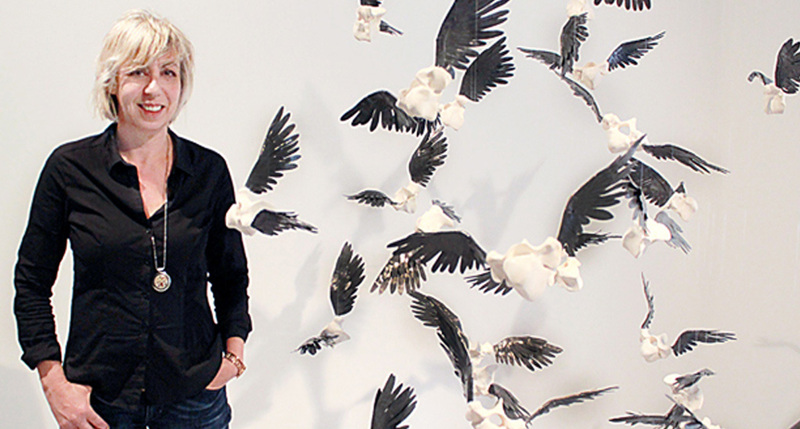 The work she shows moves between drawing, painting, sculpture and installation. His creation process, usually fused with his life experience, is tremendously linked to nature from which he draws most of his images. 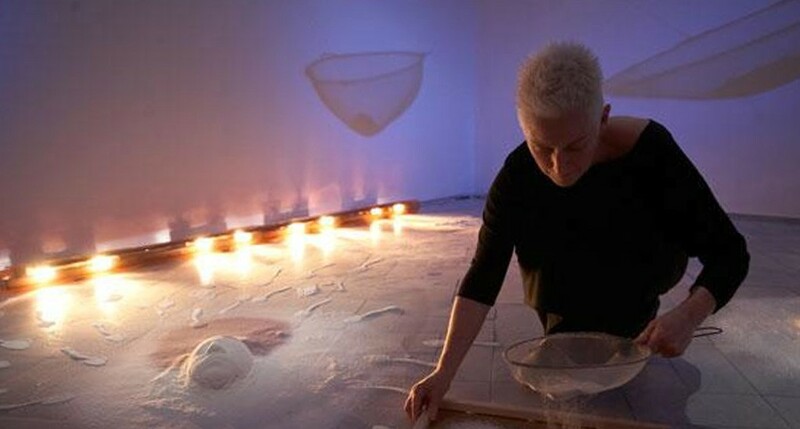 The interchanging relationships between human beings, their environment and the landscape shaping it, has been the main theme of reflection in her work over the recent years. In all these interventions, she uses landscape elements to make small changes that reflect on the concept itself of cultural landscape. Sculptor from La Rioja, born in Logroño in 1954. 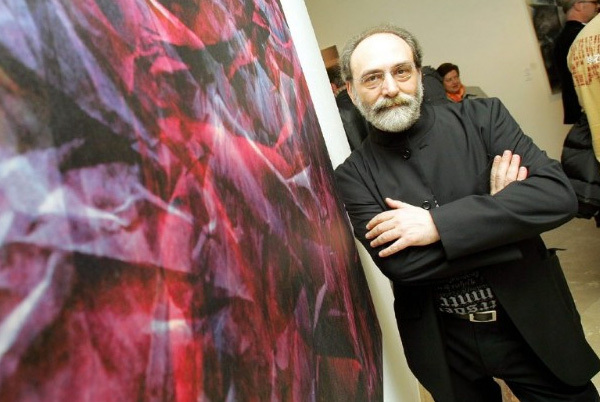 Despite his figurative art training, his career focuses on the abstract and the avant-garde. He uses different materials in the same sculpture, composing a combination which pursues variety, based on the characteristics inherent in each of them. Artist from Rioja born in 1954. One of his fundamental interests when developing his work is man’s relationship with the city and the natural environment, an issue he addresses from the different perspectives of painting, sculpture, photography, video, installations and Land Art. Visit Aroa website for mor information!